Good one Tess! Paise God for these people He puts on our path to stir us on! 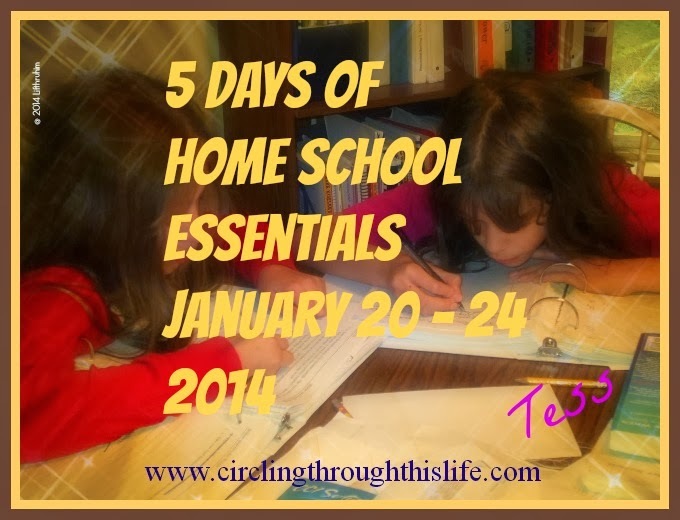 It is wonderful how homeschoolers can find support in so many ways. You never know how someone may be looking for encouragement and support for homeschooling but may not be finding it where they would hope to. I'm glad you mentioned various options for people to look to! Heather @ Principled Academy from the Crew. Loved this! I know there are mamas out there that don't have support in "real life" and rely only upon their online friends. I have some *very* dear online friends and my life is so much *richer* with them (and I know you do too.) :) But with that said, those in-person, living in the trenches with you, kind of friends - there is nothing like those. Great post! I have afew homeschooling friends i have found in town. However, I will admit many of my supporters are online friends from groups and forums I am part of. They were my #1 essential as well! I take my son to Homeschool Gym every Wednesday (courtesy of a gracious Christian school). I don't know who has more fun--the kids playing on the gym floor or the moms chatting away in the cafeteria. That is great! A support system really does help - a lot! I love how you included both online and "in real life" support systems because I, too, have found both to be very valuable! Support was my Day 4 Essential. Because the things in the other 3 posts that I find essential would not be moot points without support.